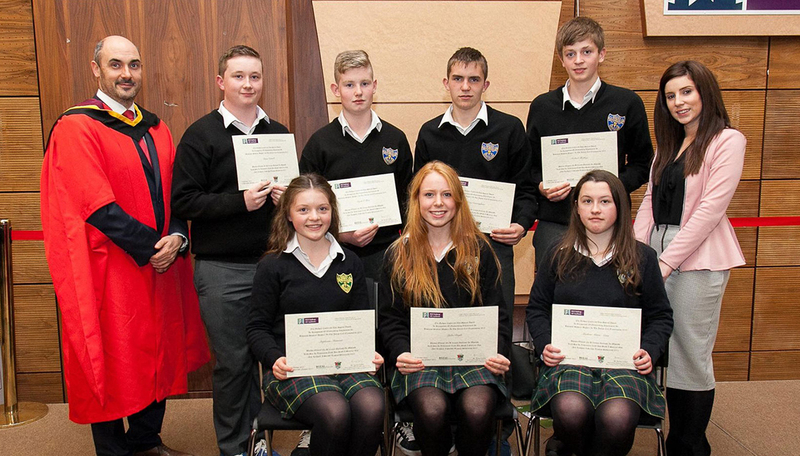 Students who received an award from NUI Galway because of their high results in their Junior Certificate Business Studies examinations. They are pictured here with Prof. Kieran Convoy, Dean of the College of Business, Public Policy and Law and with one of their Business Studies teachers, Ms Hazel Burke. (Absent from the photo is their other Business teacher, Ms. Rosemary Mulholland).